Ever have a moment when the Bible wrecked your theology? Like where you had a belief about God that brought you comfort, healing, or even growth that turned out to be a misuse of Scripture? Well, that was me about a week ago. I set out to write a post about waiting well in seasons where God hasn’t given an answer to something good that you desire. 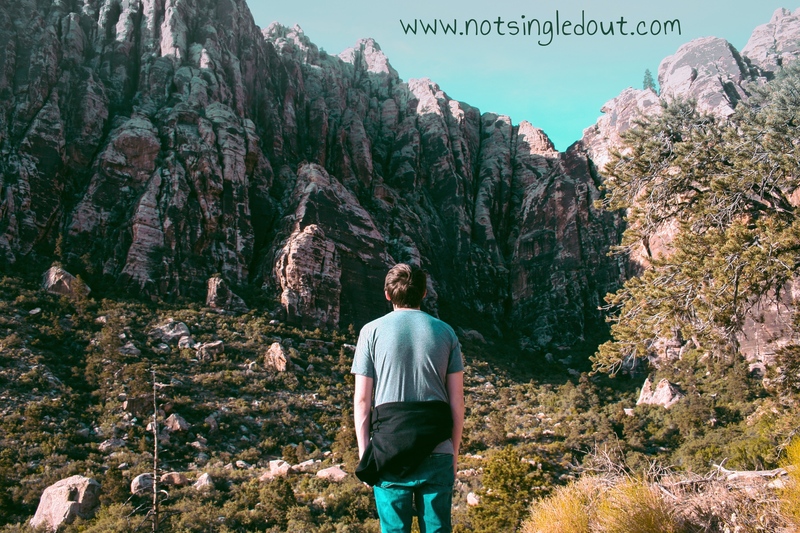 There are so many verses, especially in Psalms, that speak to what it looks like to wait on the Lord and they were a lifeline to me in seasons of singleness where I struggled with discontentment. Being the verbal processor that I am, I was bouncing some topic ideas off of a trusted brother in Christ, and he challenged me to rethink my idea of waiting. I listened intently to his thoughts at the time but set out to prove him wrong after. I decided to do a word study on waiting to comb through all those meaningful verses that got me through some darker times. What I uncovered challenged most of what I believed about the topic. Here’s what I found. The word “wait” is used in the Old Testament 75 times. About a quarter of those are used in the Psalms in places like “Wait for the LORD; be strong, and let your heart take courage; wait for the LORD!” (Ps 27:14) or “For God alone, O my soul, wait in silence, for my hope is from him.” (Ps 62:5) Aside from situational uses here and there or places where David is waiting on God’s presence, most uses of the word “wait” are in connection with redemption and salvation from the Lord. A good example of this is in Psalm 130, where David writes about waiting and hoping, for “[God] will redeem Israel from all his iniquities.” The predominant theme of waiting in the OT is a reference to the coming Messiah. Onto the New Testament. Turns out, it has a similar theme with waiting. There are a few Greek words translated into the English word “wait.” One is “perimeno”, which literally means to chill and stay put. Two other common words are “apekdechomai” and “anameno”, which are more active forms of waiting. They are expectant and hopeful about future promises that have been made. Perimeno is only used once in Acts 1:4 as a situational command from Jesus when he asks the disciples to hang out in Jerusalem until the Holy Spirit comes to the party at Pentecost. The other two Greek words are used in reference to our future hope of Jesus’ return. In my word study, notice what the verses about waiting are NOT referring to. OT saints waited for a Messiah, which (glory!) is now a past event. Church-age saints are waiting for Jesus’ return. But none of the verses are referring to waiting on the Lord in regards to something that we’ve asked Him for. Believe me, I looked. And as much as I don’t like to admit that I was wrong, especially in regards to a belief that holds a lot of meaning for me, I was unable to find a Biblical basis for using the word “wait” when it comes to earthly hopes. What does this mean for those of us who consistently pour out our hearts to God about our desires that may be earthly, but nevertheless mean a great deal to us? The things that pertain to life stages and relationships- the things that God’s Word paints as good things that aren’t wrong to want but just haven’t been granted to us yet- what about those things? The answer to that question wasn’t easy to arrive at because it meant loosening my grip a bit on the things I want this side of heaven. God doesn’t want misplaced hopes, and therefore, misplaced waiting. He wants us to actively hope on the things that we can absolutely look forward to, the things that culminate in the return of our Savior to establish a new kingdom. He does, however, want us to continue to pour our hearts out about the other things. We see this truth in Jesus’ parable about the persistent widow in Luke 18, teaching how His followers “ought always to pray and not lose heart.” But, in our asking, we need to accept His answers, too. If the answer is no or not yet, then we can’t “perimeno” around! How do we know if the answer is no? If what you are asking for isn’t happening in that very moment, you have your answer. Ask as much as you want to. Be persistent in prayer, but don’t chill until God changes His mind. He has so much more for you than a pity party in a holding pattern. My goal is not to be harsh but realistic. I’m afraid that although applying verses on waiting to my desires for marriage brought comfort to my discontented heart, it was a Band-Aid over a wound that required surgery. Taking verses meant to point to an ultimate hope and applying them to temporary things like marriage, parenthood, or a new job makes us near-sighted in our pursuit of future endeavors. Is your compass pointed at a relationship, a career, or anything else that dissolves or transforms in eternity? My sisterly suggestion is recalibration and an honest look into your heart as you answer this question: What are you waiting for? Unless you are an Acts 1:4 disciple before Pentecost, the Bible does not prescribe you to tread water as you aim toward temporal statuses and experiences. There is Kingdom work to be done as we look forward to His promise of return! Thank you for the honest post. I’ve been wrestling with similar questions. And was also coming to the same conclusions, hard as they be. I hear all the time as a single Christian nearing 30 phrases like “you are next” “it will happen for you”. While well meaning, it didn’t help me bc I’ve slowly coming to the conclusion that God never promised me a spouse, he promised me he would love, die, and be there for me. I’m finally at a place where Id rather hear hard truths than false comforts. God loves me, and yes its hard not to have a spouse. Both are true, honest, and real. I loved your idea of not waiting, God still has things for me and eternal perspectives and goals are worth fighting toward even as my earthly dreams are not fulfilled. Yes! Preach! Those momentarily comforting phrases don’t help in the long run, but timeless truths will transform our hearts to see God’s heart. Rachelle, Thank you so much for your heartfelt honesty! This post encourages me so much, and it’s so good to hear truth on this subject. Love you!